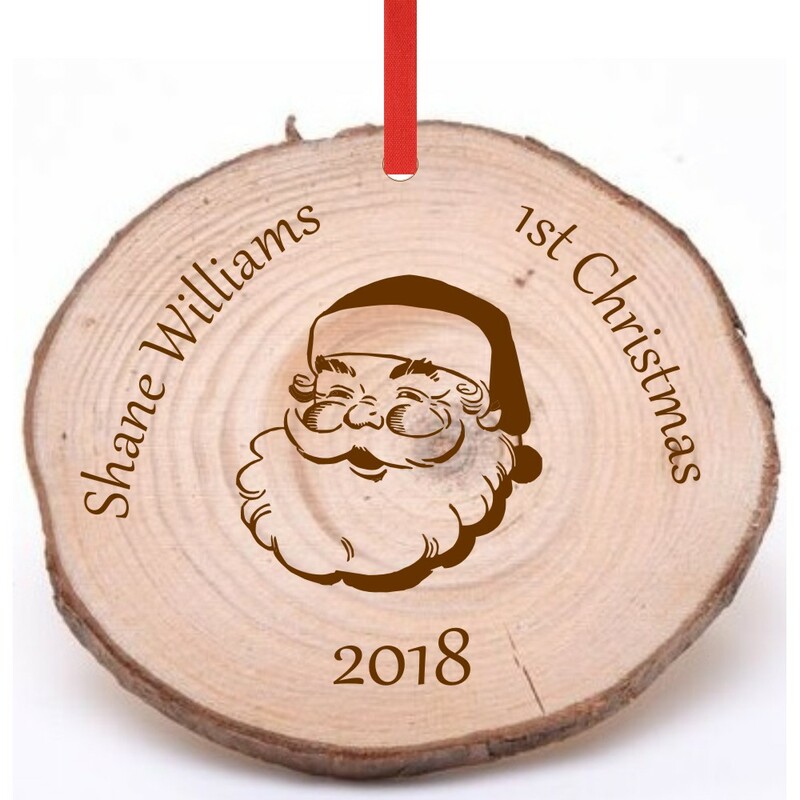 Amazing personalised laser engraved wood Christmas Tree decorations. 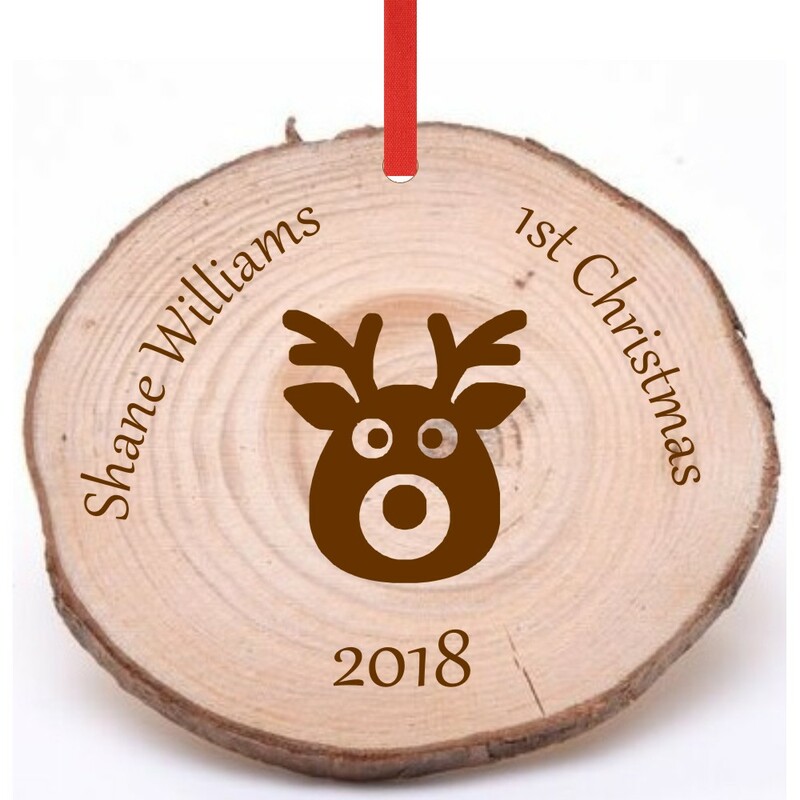 They are available in 4 different designs, Santa, Snowman, Reindeer and Sleigh with Reindeers. Every one is unique and made to your requirements. There is no preset text. The diameter of each decoration is 100mm and the thickness is 8mm. 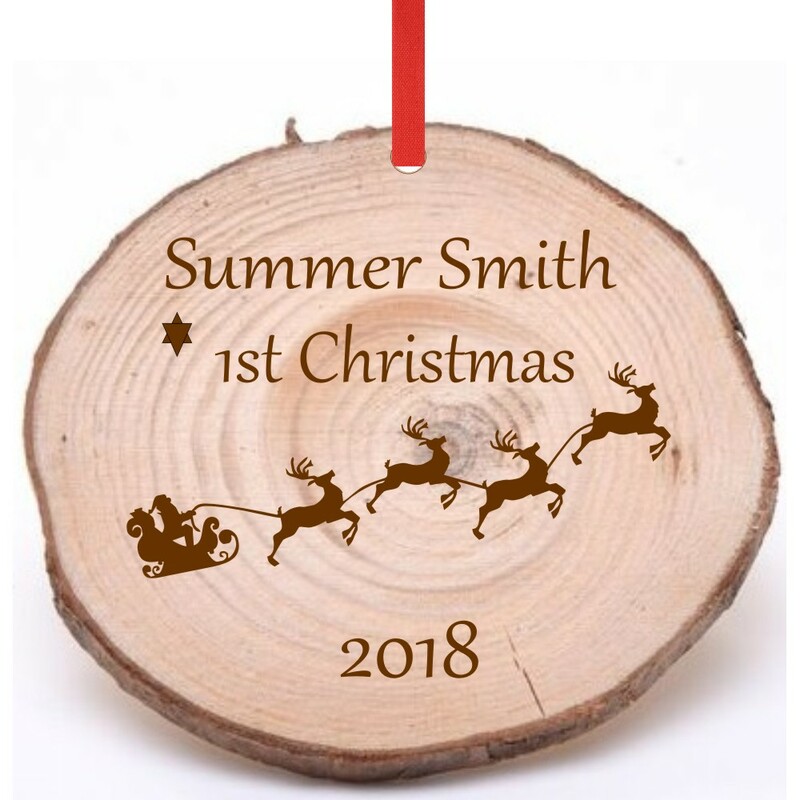 These are real wood log slices so each decoration is different, they are neatly sanded and have a natural rough bark edging. Each one comes with red 10mm satin ribbon ready for you to tie to the tree. 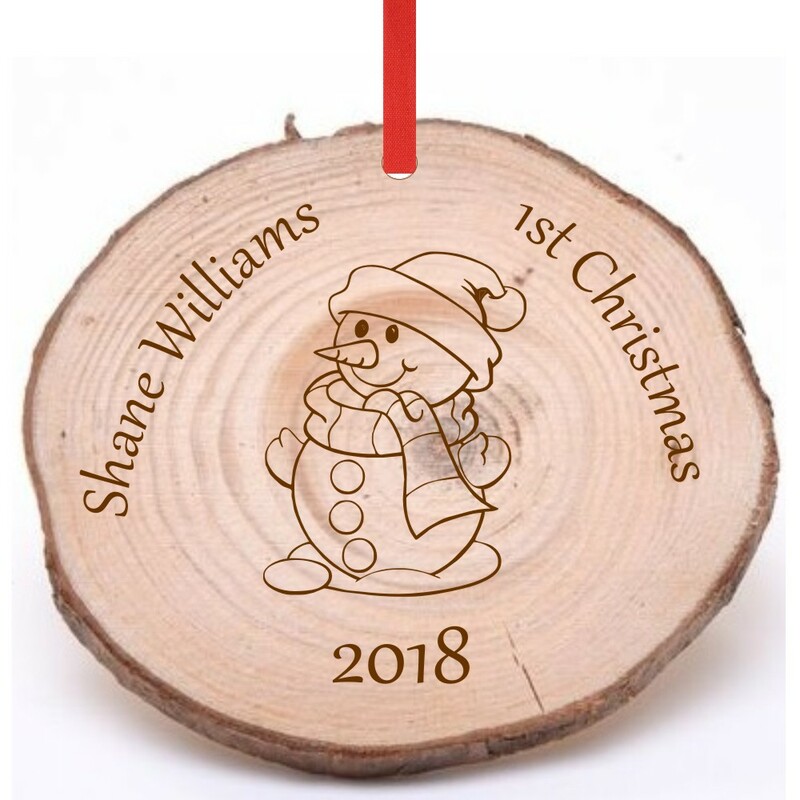 Please note each tree decoration is made from natural wood and may feature small imperfections and differences in grain, knots and colour. With 4 great designs for you to choose from, all you need to do is to select your design and tell us the text to be engraved. We will then work our magic to make your unique Christmas decoration!